Steamfield Sensors two sensor technologies provide real time measurement of mixed fluids in steam-field or other field piping. They are effective for two phase geothermal fluids, reinjection lines, gas gathering lines, steam injection, and other types of multi phase flows. The sensors track changes of void fraction and flow velocity. Data is available real time (per minute), providing considerably more timely information than discharge tests or other measures of well performance. Track changes in Two Phase flows, Multi Phase flows, Reinjection lines, Gathering Lines, and other piping around the power plant. The sensors do not produce pressure drops or other disruption to the flow, and install easily without pipe modification. Interaction between wells can be seen immediately by analyzing data from sensors installed on many wells at the same time. 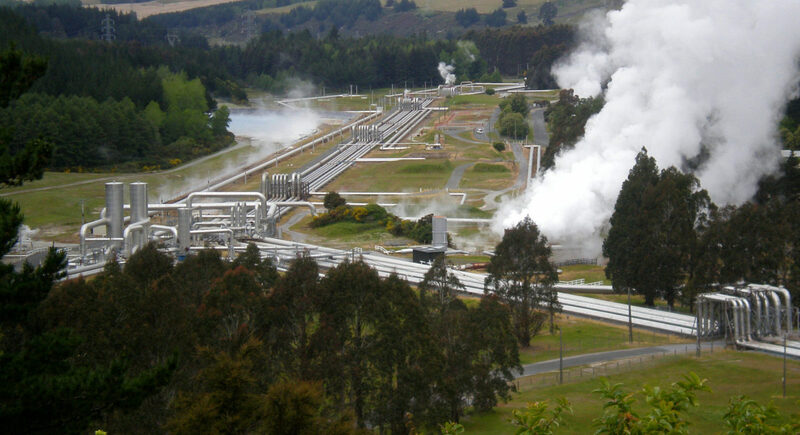 This is a new capability, not currently available in most two-phase geothermal fields. One key advantage of this technology is its simplicity of installation and maintenance. Both can be accomplished without disruption of the flow. The RF Sensor deploys easily in standard 1 inch pipe taps. It will track changes in steam/water ratio in the pipe (void fraction), and can be used to track flow velocity when two are used. Its simple installation is a major advantage in existing steam fields. The LC Sensor is mounted at pipe supports, and operates external to the flow. This may be helpful for acidic or corrosive flows. Like the RF sensor it also tracks changes to void fraction and can track flow velocity when two are used. For flows that produce scale in the pipe, the sensor can be used to track the rate of growth of the scale. Contact us. We’d like to work with you to develop a deployment plan to meet your specific needs.